Milk Thistle seeds most important constituents are the flavanoid like components called flavanoligans, the group of which is collectively called silymarin. The three most present molecules are silbinin, silycristin and silydanin. These three compounds protect the liver from toxins and support its functioning. 7 reviews available (showing latest 6 below). MY SENEGAL AND 2 x RED RUMP'S GET THESE . THERE REALLY GOOD FOR THERE LIVERS AND CAN ONLY BENEFIT FROM USING. Milk Thistle Is The Key To Maintain The Liver! I haven’t tried this product yet of the milk thistle but I’m really really looking forward to it when it arrives. My dog was diagnosed with Hepitis and I ordered Denes Milk Thistle powder for dogs and cats and with my dog having a liver not properly functioning, the Denes milk Thistle helps take toxics out and helps the liver work. 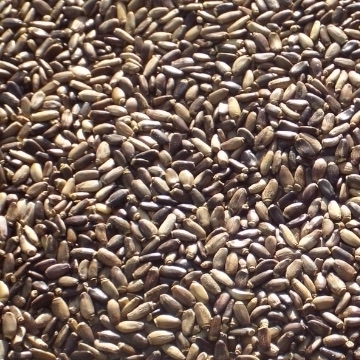 So with my birds the Thistle seeds should help support their liver by taking out toxins and helping to maintain the liver. The liver takes abuse from getting rid of toxins so the milk thistle should help with this. Lovely clean product. My parrots enjoy these seed which I offer to them once a week. Spread little onto budgie food for health benefits. Also give to recovering poorly pigeons who love it.